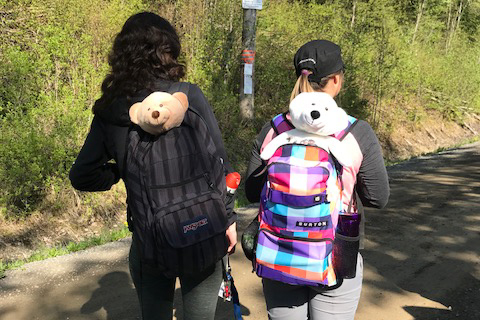 TRU School of Nursing (SoN) faculty member Sheila Blackstock and a group of third-year nursing students are preparing to depart for the remote community of Hazelton, the Gitxsan and Wet’suwet’en First Nations in early May. 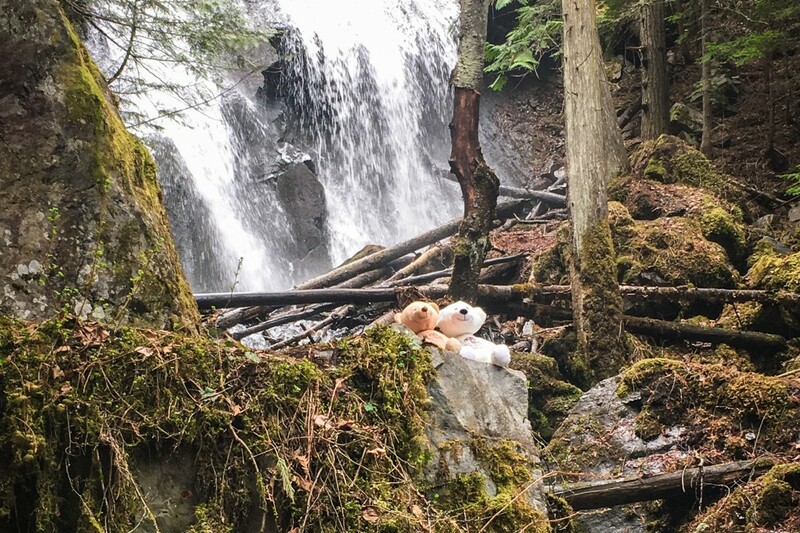 They’ll be the second student cohort to partake in the CPE 3 immersion course that Blackstock developed, in partnership with the Gitxsan Territories and Gitxsan Health Society. 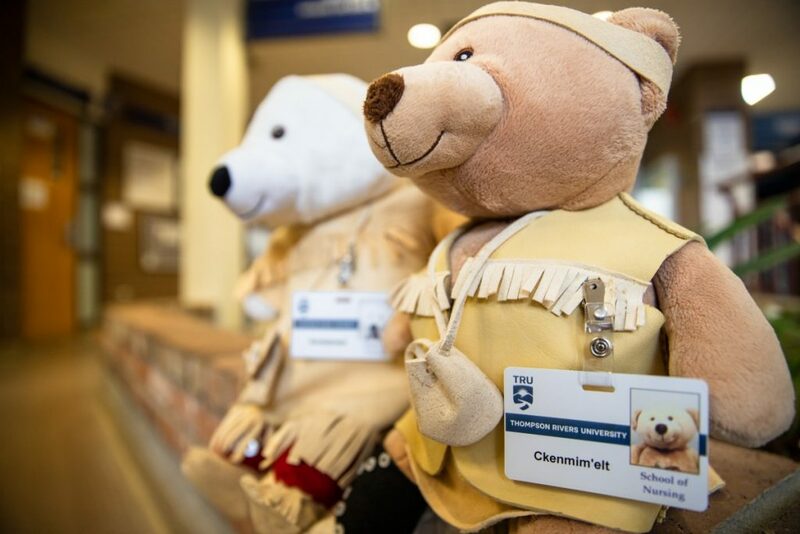 The Hazelton course is built around a Two-Eyed Seeing approach to nursing, integrating the ways of knowing and being of both Western and Indigenous cultures. 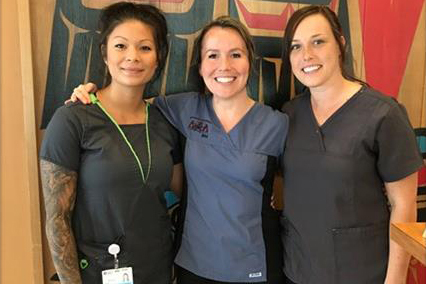 Students spend three weeks training on reserve at the Gitxsan Health Society and three weeks in Hazelton in hospital, public health, and diagnostic and treatments centre settings. 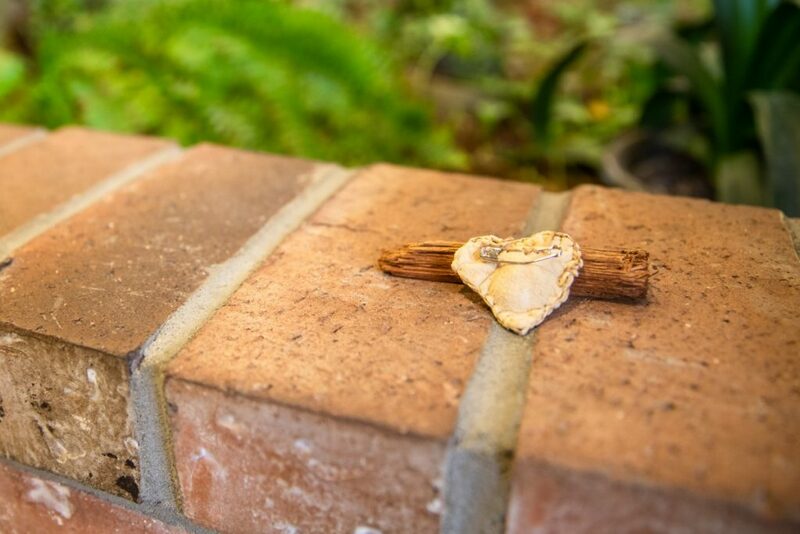 They explore traditional healing with Indigenous elders and knowledge keepers; and complete Gitxsan Health’s Indian Residential School Resolution Health Program that entails language classes, leadership training, reconnection to the land and traditional healing. For students wishing to study Indigenous health, like Lucas Warner, Blackstock’s elective provides a way to specialize. 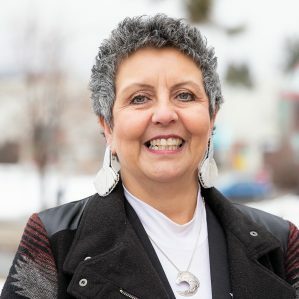 Blackstock is a proud Gitxsan nursing faculty member who developed the course to give her students experience working with Indigenous communities and clients. She and her students were humbled by the warm and enthusiastic reception they received on the 2018 course—the first year it ran. The community came out to meet them and joined in on the cultural activities that were part of the students’ itinerary, making them feel at home. Students get support throughout the practice period to ensure the learning outcomes for CPE 3 and an immersion experience are met, a prerequisite for the Bachelor of Science in Nursing. With the community’s involvement, intercultural learning is enriching the student experience to complement their on-site nursing education. The cohort took part in workshops with elders, learned to craft drums and make cottonwood salve. 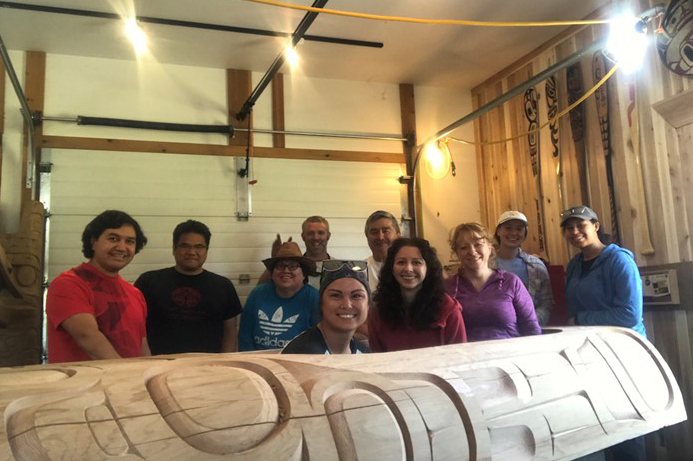 They gathered cedar strips in the woods of the coast mountains and participated in potlach, traditional ceremonies and dance; and they visited the workshop of Gitxsan artist Roy Vickers where he was carving a large totem pole. 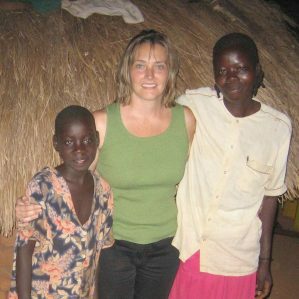 Intercultural learning complements nursing training. Visiting the workshop of Gitxsan artist Roy Vickers. Students and Spirit Bears heading out Cottonwood picking. Taking a break at a Hazelton waterfall while gathering cedar strips. Many students from the first cohort told her it was a life-changing experience—two students wished to work in Hazelton after graduation—and presented their experience to current third-year classes. 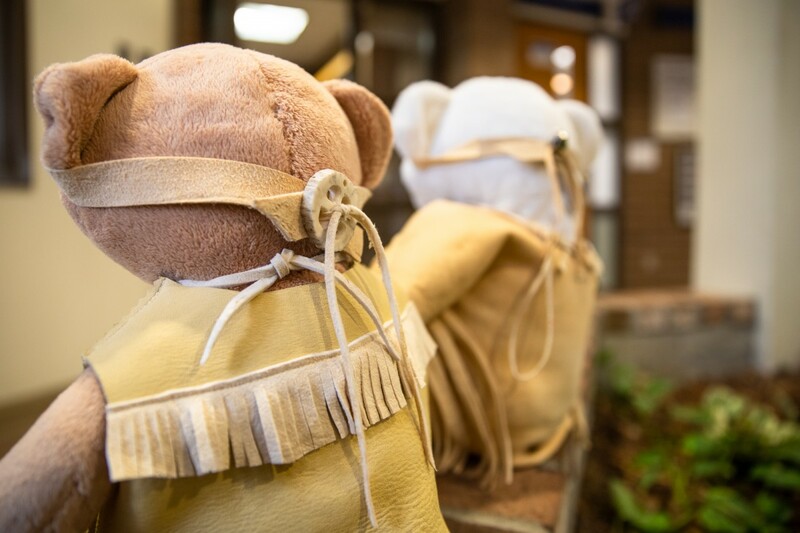 The school’s Truth and Reconciliation Spirit Bears—Kenkeknem and Ckenmim’elt—were in Hazelton with Blackstock and her students last year, and will return with the 2019 group. This year, they will be donning traditional Secwepemc regalia crafted by Skeetchestn Elder Loretta Seymour, and her daughters Colleen Seymour and Diana Steele. Elder Loretta Seymour and her daughters Colleen Seymour and Diana Steele (not pictured) crafted Kenkeknem and Ckenmim’elt’s traditional Secwepemc regalia. 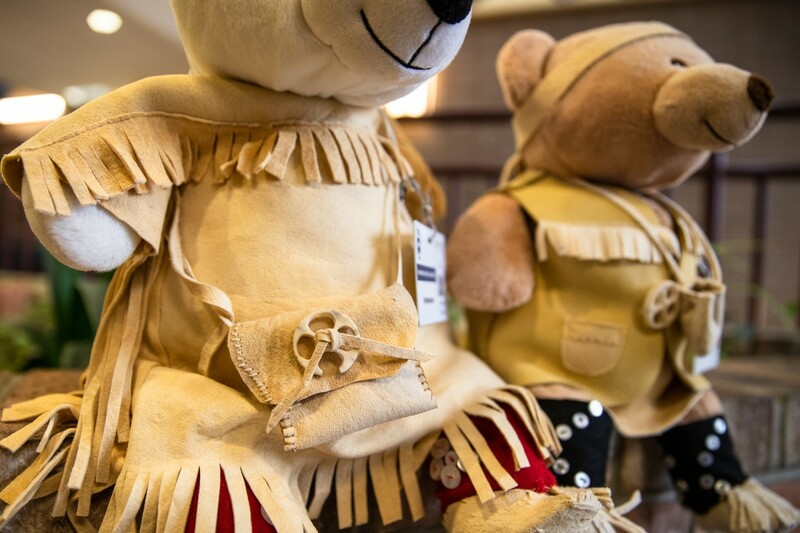 Kenkeknem and Ckenmim’elt’s regalia is crafted from the high-quality buckskin Elder Seymour’s work is known for, tanned by a third-generation craftsman in nearby Vernon. 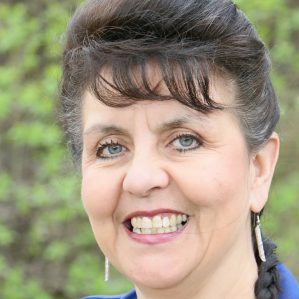 She takes custom orders for specialty items like jackets, vests, moccasins, mukluks and gauntlet-style gloves. So, when TRU’s Office of the Provost reached out to outfit Kenkeknem and Ckenmim’elt, she and her daughters completed the intricate designs in about five days. 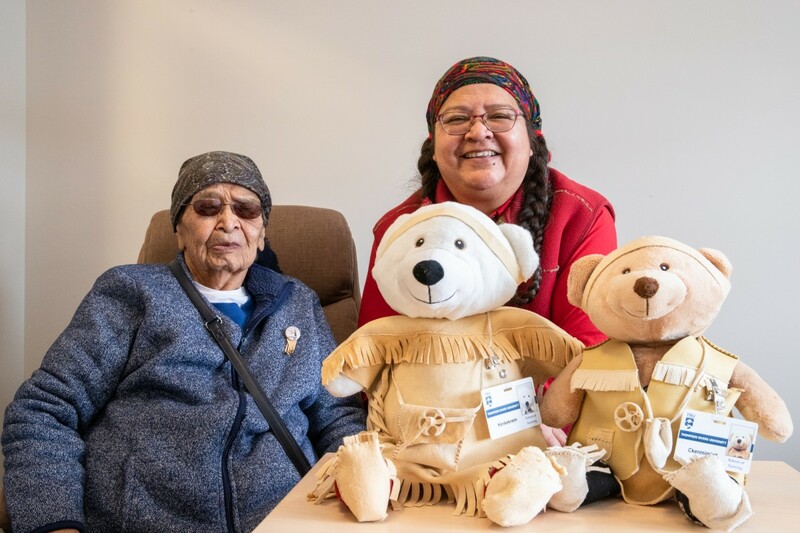 Elder Seymour says her people wore similar traditional items during special occasions, and both bears are equipped with a small medicine pouch that she also crafts for chiefs and council members when they’re elected—as she did for her son when he was voted in as chief, and his councillors. The pouches contain traditional medicines from the land, and the elected representatives wear them everywhere they go when they’re working on behalf of their people, to remember who they are, where they come from and who they’re working for. Kenkeknem and Ckenmim’elt have been present to bear witness at TRU Senate and Cindy Blackstock’s law student presentation of The Spirit Bear Plan: Ending Inequalities for First Nation Children. 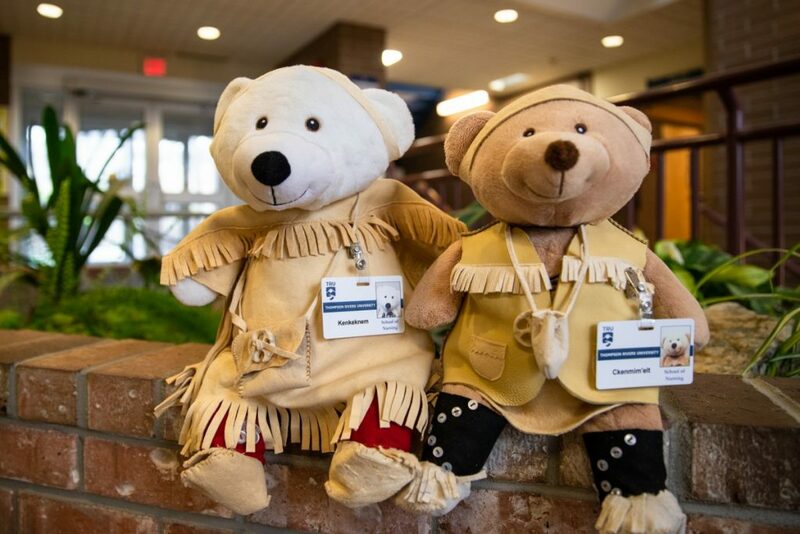 They have attended a fundraising event for Indigenous students at the Toronto National Caring Aids Foundation and a Canadian Association of Nursing student gathering. Blackstock took them along for her Hazelton course recap presentation to the Western Nurses Association. A number of classes around campus have also hosted these symbolic representations of TRU’s commitments and responsibilities to enact and uphold the Truth and Reconciliation Commission’s Calls to Action and Jordan’s Principle; and they’ll be appearing at the 2019 Nursing Gala. Blackstock departs for Hazelton with seven nursing students in tow, along with Kenkeknem and Ckenmim’elt, once final exams wrap up for the semester. 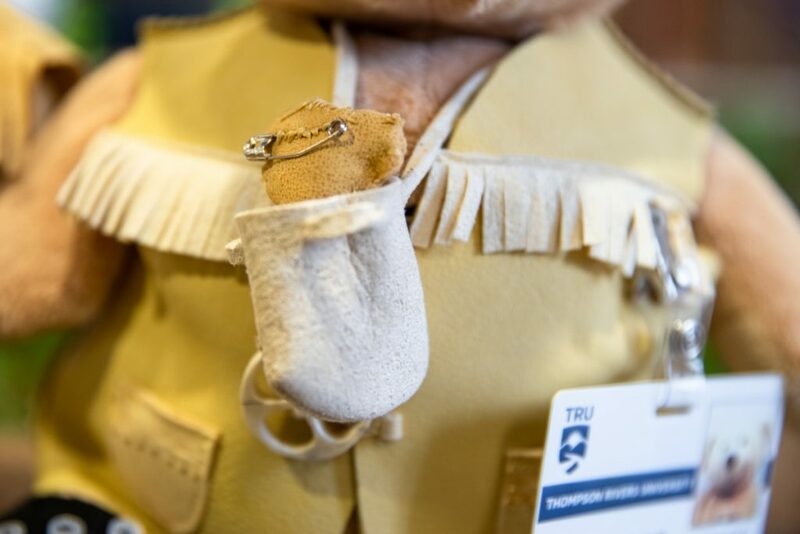 They’ll spend six weeks immersed in the community before returning to their fourth and final year at TRU, with a new perspective on the future of nursing.